К сожалению, мы не можем разместить ссылки на скачивание данного материала, по официальной просьбе правообладателя. Unfortunately, we can not post links to download this material, at the official request of the copyright holder. Timesaver Speaking Activities Pre-intermediate-Advanced. Peter Maggs, John Hird - This 80-page collection of fun speaking activities will really motivate students to communicate in English. The activities include role plays, dialogues, discussions and speaking games, focusing on specific language areas as well as general communication. There is no substitute for active use of a language versus passive reading. Doing the activities in this collection will help develop your students' confidence and language competence. Timesaver Writing Activities Elementary-Intermediate. Gwen Berwick, Sydney Thorne - Developing students' writing skills during an intensive language course can be difficult. Time may be limited and many students find this skill particularly difficult. This timesaving resource provides contemporary contexts and clear models for students to follow. Students will enjoy the activities and feel a real sense of progress. Fun with writing for teenage students of English, with a wide variety of different types of writing: text messages, postcards, e-mails, letters, online chat room writing, and more. The writing activities reflect the exercises typically required in the popular KET and PET examinations. Timesaver Real Video - Teen Life UK. Mary Glasgow Magazines - Bring authentic, motivating material from the UK's Channel 5 into your classroom! Lessons are structured around 5-8 minute programme extracts, including teenagers discussing relationships, a soap opera set in a UK school and a cross-curricular science programme. On-screen support aids comprehension and the accompanying resource book provides extension and self-study activities. Book + Video. Timesaver Culture Customs and Lifestyle in the UK & Ireland. Julia Keddle, Mark Fletcher - This stimulating resource provides a real insight into everyday culture, customs and lifestyle from the UK and Ireland presented through activities, reading texts and communicative games. Topics include: Glastonbury music festival Teenage birthdays Top City Guides ... and many more. Timesaver Vocabulary Activities Elementary. Sue Finnie, Daniele Bourdais - Aimed at students who have 0-1 years of English, age group of 11-12 years old. This book is designed to provide interesting and exciting grammar activities which teachers can use easily to complement their standard ELT syllabus. Timesaver Vocabulary Activities Pre-intermediate and Intermediate. Julie Woodward - Vocabulary acquisition increasing the number of words a student knows- will be a key objective for any language course. Titles covering the field of vocabulary acquisition will always be a natural list area for supplementary resource publishing- and will always be amongst the best selling part of the list. Timesaver Phrasal Verbs and Idioms Pre-intermediate-Advanced. Peter Dainty. A key objective for students who have come to study in the UK is to improve their fluency in 'real English' - English as native speakers speak it. Perhaps the major obstacle in achieving this is to learning the quirky idioms and phrasal verbs with which English is so liberally endowed. Junior English Timesaver - Projects Across the Curriculum. Nina Lauder - JET: Projects Across the Curriculum contains 24 cross­ curricular projects accompanied by teacher's notes. The projects are topic-based and cover three of the main curriculum subjects at primary level: science, maths and social studies. The book provides a wide range of projects involving elements of research, out-of-class investigation, survey work, group discussion, hands-on work and peer evaluation. There is a growing need in both primary and secondary schools for materials that teach content subjects in the curriculum through the medium of English. "Projects Across the Curriculum" presents a collection of projects for the core subjects of Maths, Science and Social Studies at primary level. Junior English Timesaver - Speaking Activities. Viv Lambert, Cheryl Pelteret - Good reading texts are highly versatile either as springboards to discussion or as a lead in to more detailed comprehension exercises. The problem for teachers working on an intensive course in the UK is that text taken from everyday newspapers in the UK will be ungraded and so too difficult for the students. Teachers need a Timesaving source of interesting texts, at the right level, which are motivating to their students. Timesaver English in Everyday Situations. Martin Ford, David King - This 96 page resource book offers teachers a wealth of activities based on reading and listening realia (authentic or simulated-authentic) and will be vital for teachers presenting 'Background to Britain' information. 'Timesavers for Real!' offers activities which aid integrated skills development (with a focus on reading, listening and vocabulary) and revises specific structures in an enjoyable and meaningful way. Examples of activities include: Shopping at the CD Megastore (Music types - likes and dislikes); TV listings (matching programmes to people profiles); Maps of Britain and Local Towns (jigsaw pair work). The book is accompanied by an audio component. Intermediate level. Timesaver Extracts 2 Photocopiable with Audio Cd. Nigel Newbrook - This 88 page resource book features fourteen extracts taken from modern and classical literature. Useful background information on the authors and the novels accompanies each extract. The fourteen units, each exploring a different theme, provide a wide variety of language practice as well as developing reading skills, summary techniques and stylistic appreciation, for the Cambridge CAE, CPE and IELTS examinations. Each extract is followed by two pages of photocopiable exercises which include vocabulary and gap-fill exercises, discussion activities and role-play situations, and composition topics based on the theme of the unit. All the extracts are read aloud on the accompanying audio component. It is suitable for Upper-Intermediate - Advanced level. Timesaver Elementary Listening with 2 CDs. Judith Greet - This 80-page resource book contains a motivating range of communicative activities based around scripted listenings. Topics range from holidays and food to dilemmas and excerpts from classic literature, such as Oliver Twist. - Activities are indexed by topic, structure or function, and listening skills. They are ideal for providing supplementary listening practice with a direct focus on teenage interests. - Each activity is supported by comprehensive teaching notes with pre- and post-listening suggestions. Full transcripts are provided. Timesaver Intermediate Listening with 2 CDs. Judith Greet - Students often find listening the most difficult skill to master even if their level of English is high. Teachers need a collection of authentic listenings on motivating, relevant topics as supplementary practice for students. Each listening is fully exploited, saving teachers research and preparation time. Timesaver Read and React Beginner-Intermediate. Jane Myles - This 80 page resource book is full of stimulating, topical reading texts which are specifically aimed at young teenagers learning English. The book presents students with a wide variety of text types from feature articles and lists to interviews and personality quizzes. Each text is accompanied by puzzles and language exploitation games as well as suggestions for pre-reading and discussion activities plus follow-up projects. Each page provides internet extension material and background reference. Topics range around a wide variety of issues including David Beckham, Harry Potter, Internet chat rooms, endangered animals, Thanksgiving in the USA, Buckingham Palace and global warming. Timesaver Grammar Activities Elementary. Coleen Degnan-Veness - A key aim of an intensive English language course in the UK will be to consolidate the grammar that the student will already have learnt in a lively and motivating way. Teachers working in intensive courses in the UK will be relatively inexperienced and will be looking for easy-to-use extra resource material in this challenging task. Timesaver Grammar Activities Pre-intermediate and Intermediate. Jane Rollason - A key aim of an intensive English language course in the UK will be to consolidate the grammar that the student will already have learnt in a lively and motivating way. At the same time many of the teachers working in intensive courses in the UK will be relatively inexperienced. Junior English Timesaver Drama in the Classroom. Fiona Beddall - This lively 96-page resource book contains a variety of graded drama activities to suit a range of levels and abilities. it is aimed at children from 8 years upwards. Activities include action rhymes, games, mimes, jokes and full-class plays, supported by photocopiable cards, masks and puzzles. Step-by-step teacher's notes accompany each activity, with useful ideas for further exploitation. Comprehensive introduction provides useful guidelines on how to introduce drama to primary level classes. Timesaver New York Elementary-Intermediate. Denise Kiernan - Most students studying English will have an interest in the United States and may even visit the exciting city of New York! This book provides lively and up-to-date information on New York and its people, places and culture. The emphasis is on a functional, communicative approach so students practise their English in a motivating, meaningful way whilst learning about this fascinating city. Timesaver British History Highlights. This collection presents highlights of British history in a way which will directly appeal to teenage students. Topics include Crazy Kings and Cool Queens, Worst Wars and Dreadful Disasters. Students are prompted to link historical events to present day situations, and personal project suggestions are included. This title includes a free brilliant Britons poster. Timesaver Storyboard 24 Stories Through Pictures with CD. Everybody loves a story! This collection of varied picture stories will capture the interest of students and help them to develop their receptive and productive language skills. The accompanying CD further contextualises each activity with a model story and interview. This essential resource contains 24 picture stories each accompanied by a variety of mixed-skills tasks, culminating in the students writing their own version of the story. The stories cover various genres including reportage, human interest stories and comedy. A CD with transcripts and interviews is also provided. Those act as models for the students before preparing their own interviews and stories. Timesaver Cross-Curricular English Activities. Melanie Birdsall. An extensive collection of exciting and interactive activities in English for maths, geography, life skills, history and science. Students use language skills to design a town, find out if they are a good friend, or test their knowledge of recycling. A variety of activities present subjects in a fun and stimulating way. Timesaver 40 Combined Skills Lessons for the Common European Framework. Lynda Edwards, Richard Munns, Mark Fletcher. The Common European Framework outlines a series of targets to be reached at different stages through the language learning experience. There is a need for mixed-skills materials which provide a direct tie-in with the CEF targets, or descriptors, so that teachers can assess students' progress, and students can evaluate their own learning. Timesaver Holidays and Special Days in the USA. Jane Myles. Students learning English need to familiarise themselves with the culture of English-speaking countries to provide a context for their study of the English language. This cultural studies title allows teachers to present aspects of contemporary US culture to their students which will enhance their language learning experience, and broaden their knowledge of the English-speaking world. Timesaver Personality Quizzes. Viv Lambert. Teenagers have no greater interest than themselves! One of the most compelling features of almost any teen magazine, anywhere in the world is the personality quiz. This book provides 50 of the most engaging personality quizzes covering all the areas of teenager interest including Love and Romance, Friendship, Travel and Adventure, Clothes and Fashion, Family, and more. The quizzes are attractively illustrated and motivate by focusing on the teenager’s interests: "Are you a good friend? ", "How fit are you?" "Are you a shopaholic?" Lexical and structural indexing and clear levelling make it easy to find the language point to be practised. Timesaver Raps for Learning English. ELT songs and jazz chants are now brought right up-to-date with 25 cool raps to support lexical and grammatical development. Fun activities with funny illustrations extend the language points, with a full index to help the teacher find the right rap. Topics range from "American Cousins", focusing on the differences between the UK and the US, to Football, Christmas, Haloween and many more. Professionally produced studio recorded audio on CD. Have Fun Teaching!). Timesaver Picture Prompts Elementary-Intermediate. Gwen Berwick, Sydney Thorne. Teachers at UK language schools don't always have time to find photos and pictures to use as resources in the classroom. There is a need for ready-to-use visuals that tie in with specific language points. The book also provides new ways to recycle and consolidate new structures. Timesaver Pronunciation Activities Elementary-Intermediate. Bill Bowler. Understanding real English and being able to communicate is key to students' success. There is a need for an up-to-date photocopiable resource which tackles pronunciation and listening comprehension issues in a realistic, non-contrived context. This book provides students with the skills they need to understand others and be understood. Timesaver Visual Grammar. Richard Munns and Mark Fletcher. This 80-page resource book provides a comprehensive collection of the main grammar points covered at elementary, pre-intermediate and intermediate levels, practised through a series of fun and memorable cartoons. Activity types include gap fill and matching exercises, dialogue completion, and question and negative formation. Timesaver London! Jane Myles, Sarah Johnson. This book contains a variety of reading texts, activities and games on every aspect of London life - sightseeing, travel, sport, shopping, museums, galleries and, of course, on Londoners themselves. The texts are aimed at young teenagers learning English. - Each activity provides structured language and vocabulary practice, with suggestions for discussion and follow-up pairwork and groupwork. - Topics cover areas as diverse as Hamley's Toy Shop, Cockney Rhyming Slang, Party in the Park and London Football Clubs as well as the more historical side of London: Buckingham Palace, Big Ben and the Tower of London. Timesaver Newspaper Articles to get Teenagers Talking Peter Dainty. This rich resource provides a collection of authentic newspaper articles from a variety of British newspapers. The stimulating articles encourage students to contextualise the topic and then engage in lively discussion. The articles cover the following areas: Lifestyle, Moral Issues, Wokk and Education, Food and Health and World Issues. Vocabulary and comprehension activities accompany each article and these highlight the key language items needed for the ensuing discussion. An answer key is included. The introduction provides suggestions on managing successful discussions, as well as background information on the British press. Timesaver Mind Twisters, Puzzles and Games Elementary-Intermediate. Adrian Wallwork, Anna Southern. A collection of over 50 entirely authentic games and puzzles, adapted for the ELT classroom. Students will love the quirky activities which give them real motivation to communicate. Activities can be selected by language point, and are ideal for practising or consolidating new structures in a fun, informal way. Shorter activities are perfect as warmers or time-fillers while longer activities can be used as the basis for a whole lesson. Activity types include lateral thinking problems, quizzes, riddles, jokes, mazes and memory games. Timesaver Festivals and Special Days in Britain. Melanie Birdsall. Teachers running private language school classes in the UK are conscious of the fact that the students are here to 'immerse' themselves not only in language but also British customs and traditions. Teachers attending teacher training courses in the UK also seek to take home material that allows then to present the 'cultural studies' aspect of their language lesson in a contemporary and dynamic way. Timesaver Games. Jane Myles. A photocopiable resouce book for busy teachers, 'Timesaver Games' contains dozens of time-saving and motivating activities for immediate use in the classroom. 'Timesaver Games' enables you to help your students consolidate mewly acquired language whilst having fun with puzzles. All the activities in 'Timesaver Games' have been tried, tested and enjoyed by students and teachers alike. They are suitable for use in all teaching situations - including mixed ability classes - or they can be given as homework tasks. Timesaver Reading Lessons Intermediate-Advanced. Emma Grisewood, Juliet Meyers. 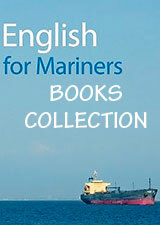 This collection of topical reading texts is aimed at teenage learners of English. The book presents students with a wide variety of text types, from detailed articles to cartoons. They are accompanied by teaching ideas and tasks to help the teacher exploit the content to the full. Topics range around a wide variety of issues including extreme sports, animals, homelessness and parents, which help students prepare for oral work based on current issues. Timesaver Project Work. Janet Hardy-Gould. 15 engaging and motivating projects on wide-ranging topics aimed specifically at teenagers: from "Create a New Pop Group" or "Survive in the Jungle" to "Design a New Outfit" (for a pop or sports star) or "Create a Class Website". Each project contains a worksheet with warm-up activities. Each project requires the student to practise all four skills. Students also learn/revise key items of vocabulary and grammar relating to their chosen project.